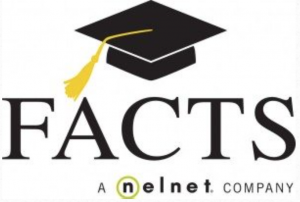 NewBridge School and The Koonings Center have partnered with FACTS Management Company to manage our tuition payment program. FACTS is used by many schools locally and over 6,500 schools nationally. This program offers greater efficiency for our school while providing convenience and consistency to families. One of our goals is to minimize the amount of time we spend on the business side of our school in order to focus on our students and staff. By taking advantage of the security and convenience of payment processing technology offered by FACTS, we remain committed to this goal. Convenience & Security: Along with multiple payment plan options, your payments are processed securely through a bank-to-bank transaction. Once you set up your account, the program takes care of the rest throughout the year. Consumer Account: You can login and check your personal account from the convenience of your home or office anytime. Peace of Mind Insurance: FACTS offers this optional Peace of Mind Insurance benefit. In the event of death of the Responsible Party or spouse, the remaining tuition balance owed for the current school year is paid to the school.